One of my pleasures is live theatre and the Lost & Found Theatre company’s latest production, Kimberly Akimbo, is one of the reasons for my love of theatre. The Kitchener, Ontario-based company doesn’t describe itself as a “Christian theatre company” even though most of the company’s core cast are Christians. But the works they choose to produce frequently resonate with Christian values and definitely look at the challenging and redemptive aspects of human relationships. Kimberly Akimbo does just that. Pulitzer Prize winner David Lindsay-Abaire’s play introduces us to a mother (Christy Ziss) about to give birth to her second child and worried about about diseases she’s never been diagnosed with; a rarely sober father (Andy Pogson) who constantly makes promises he never keeps and 15- turning 16-year-old, Kimberly who tries to navigate the turbulent waters of a budding teenage romance, a dysfunctional family (that also includes an aunt with a sketchy past) and her own mortality. Cast as Kimberly, is Kathleen Sheehy portrays a teen who struggles with a rare condition that causes her body to age faster than it should. Faced with an uncertain future, she also has to cope with her parents avoidance (bordering on denial) of her condition despite her desire to live a normal teenage life. When her aunt Debra (Jennifer Cornish) shows up with a get-rich-quick scheme, Kimberly’s world falls apart as simmering family secrets boil to the surface in heated arguments and accusations. And when the family secrets no longer remain secret, instead of ending the dysfunction, it serves to drive the wedge between Kimberly and her parents in deeper, forcing her to forge her own path and find her own happiness. Thrown into the mix is a Jeff (in a stunning professional debut by Alten Wilmot), a geeky wannabe boyfriend who uses anagrams portray his true feelings. Using a school project as a ruse to get a chance to talk to Kimberly, the budding romance survives awkward silences, their own dysfunctional families and Kimberly’s overprotective father. 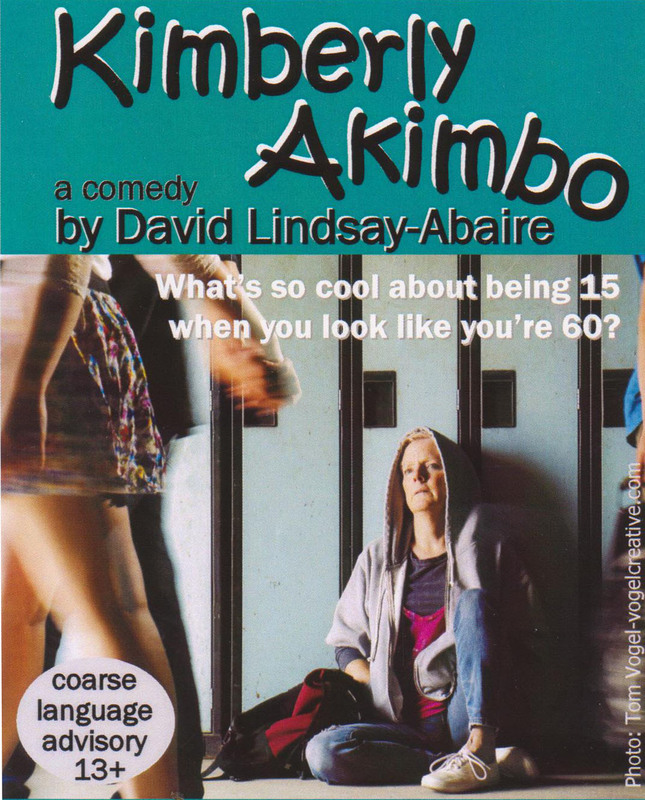 Kimberly Akimbo is funny, poignant and deeply moving, often in the space of a single line. It’s a must see. And check out Lost & Found Theatre’s Radical Hospitality initiative where a limited number of tickets for the Saturday, March 21 and Tuesday, March 24 will be available at no cost.